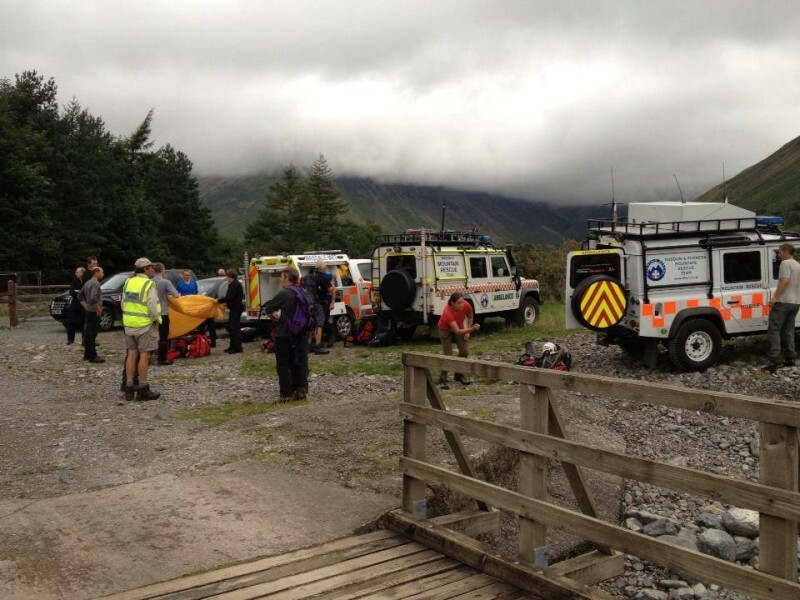 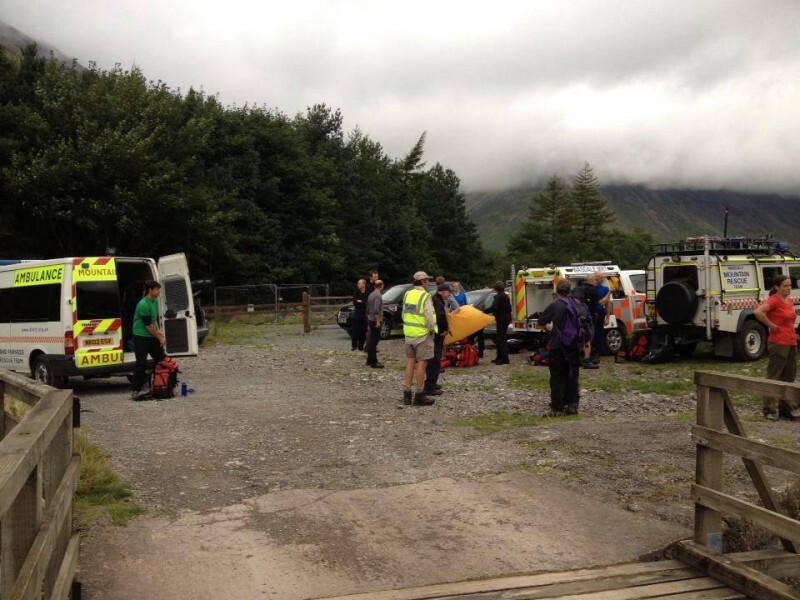 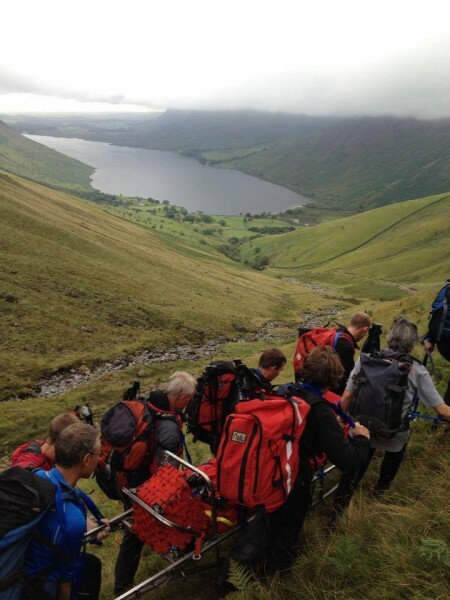 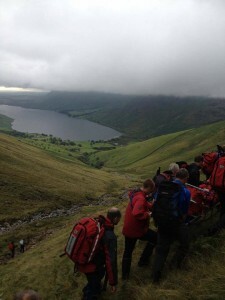 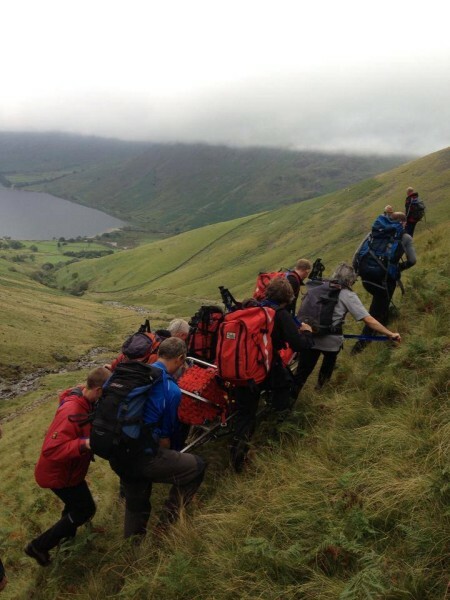 The team was called out this afternoon to go to the aid of a 15 year old male who had taken a slip on wet grass and torn his calf muscle descending Scafell Pike. 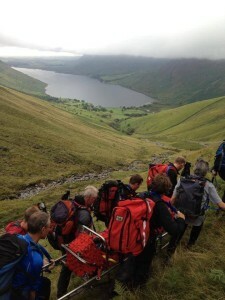 The team doctor treated him at the scene and then he was stretchered from the mountain. 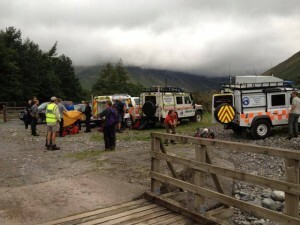 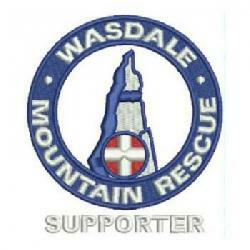 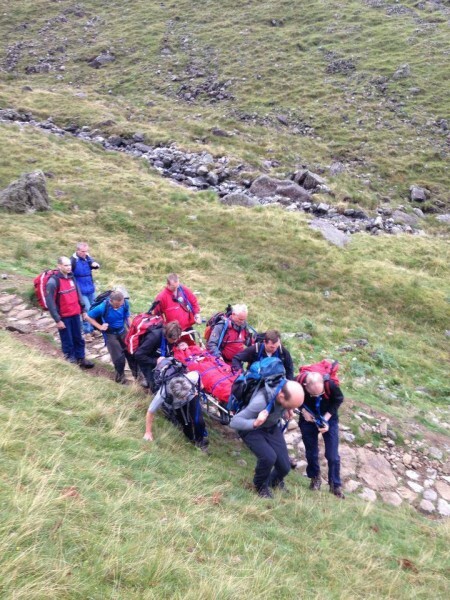 Thanks to Duddon and Furness MRT who assisted us with the carry off.